Lemons are a tasty addition to many dishes and can add life to a glass of water. You can use lemon juice in place of traditional salad dressings for a healthier salad. A member of the citrus family, lemon has many health benefits. However, some relatives of this fruit, such as grapefruit, can cause adverse medication interactions, especially with drugs to treat cholesterol. Cholesterol medications play a pivotal role when high cholesterol affects your life. They help lower your cholesterol levels, along with your risk of heart disease, heart attack and stroke. There are several classes of cholesterol-lowering drugs your doctor can prescribe, each working in a specific manner. Selective cholesterol absorption inhibitors absorb excess cholesterol in your intestines, while resins increase the excretion of cholesterol from your body. Perhaps the most popular, and most effective, cholesterol medications are statins, a class of drugs that slow the production of cholesterol in your body. It is this class of drugs with which citrus fruits can interact negatively. Lemons may help lower cholesterol, according to a study performed by the Faculty of Veterinary Medicine at Utrecht University in The Netherlands. Over a period of eight weeks, two groups of hybrid hamsters were fed different diets; one group received cellulose while the other ate lemon peels. 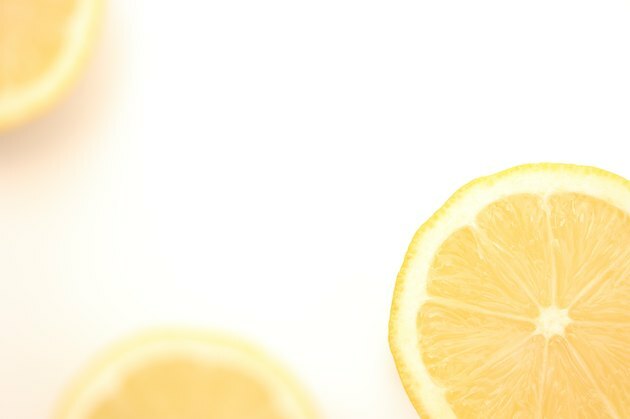 Upon completion of the study, the cholesterol levels of the hamsters eating the lemon peels were lower than the levels of those consuming the cellulose diet. Harvard Health Publications extends the cholesterol-lowering benefits of this fruit to humans, listing citrus fruits among the types of soluble fiber that can significantly lower your cholesterol. However, one citrus fruit you should not eat if you take a cholesterol medication is grapefruit. Grapefruit contains chemicals that can interfere with your body's ability to properly break down certain medications, including statins -- specifically simvastatin, lovastatin and atorvastatin. Consuming grapefruit or grapefruit products can prevent your liver from breaking these drugs down, causing them to remain in your blood for longer periods of time. This increases the strength of the medication and your risk of experiencing harmful side effects of the drug. Drinking 8 oz of grapefruit juice can interfere with the breakdown of your cholesterol medication for 24 to 72 hours. All other types of fruits and fruit juices, including other citrus fruits such as lemons, are acceptable alternatives to grapefruit juice when taking a cholesterol-lowering medication. However, pomelos and Seville oranges may mimic the effect of grapefruit. Check with your doctor before consuming any type of citrus fruit when taking simvastatin, lovastatin or atorvastatin.